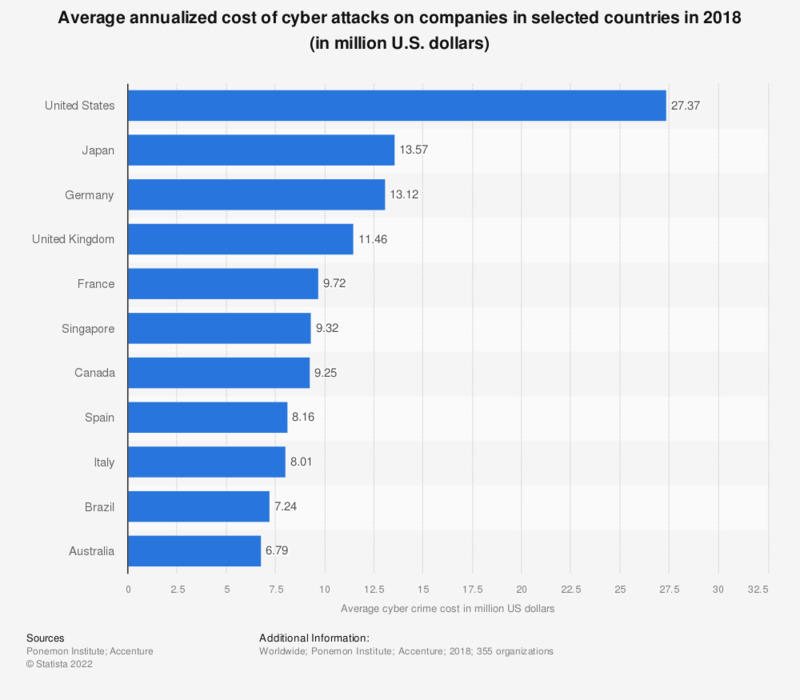 This statistic shows average costs of cyber crime attacks in selected countries in 2017. During a survey it was found that the average annualized cost of cyber crime attacks in the United States amounted to 21.22 million U.S. dollars. Second-ranked Germany averaged 11.84 million U.S. dollars in damages to attacked companies per year. According to an August 2016 survey of global companies, business disruption was the most costly consequence of a targeted cyber attack on their business. Overall, the financial service sector had the highest annual costs caused by cyber crime.